QualitySolicitors Lawson and Thompson is a name you know you can trust. Based in Northumberland we provide expert legal advice to both individuals and local businesses. 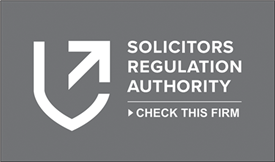 Modern and progressive, QualitySolicitors Lawson and Thompson is part of a national network of law firms dedicated to providing the very best in customer service excellence. Gaining access to legal advice couldn’t be simpler. Your first step is free – we know that many people appreciate talking to someone first before deciding what action to take. This initial consultation allows you to discuss your matter without the worry of an unexpected bill. Before we start work for you, we promise to be clear on the likely costs so you know what to budget. Keeping in touch is important – so you’ll find we do. If you have a query, you have direct access to your lawyer – not some message taker. And you’ll also find we only use plain and simple words, not legal jargon. The law is complicated enough – we aim to explain everything clearly so you understand. We have three offices in Northumberland; in Blyth, Bedlington and Ashington so if you're in need of legal advice contact us for a professional, friendly and efficient service. QualitySolicitors Lawson and Thompson are part of the UK’s leading name in the provision of legal services. For whatever life brings trust your local law firm - QualitySolicitors Lawson and Thompson. QualitySolicitors Lawson & Thompson is offering Wills at no cost* to people aged 55 and over as part of an award-winning Will Scheme partnership with Barnardo’s.